We have no historical experience with what the expropriation of modern capital markets would cause. However, it would be unlikely to be anything good as capital markets have been around for several centuries, and they are extremely important in allocating financial capital efficiently. If central banks take a permanent active role in the capital markets, it would lead to financial market socialism. It would be likely to bring similar horrors as regular socialism in the form of lost incentives (breaking down of the risk-reward relationship) and inflated asset values. It is unlikely that global central bankers would be willing, or that they would be allowed, to do so. 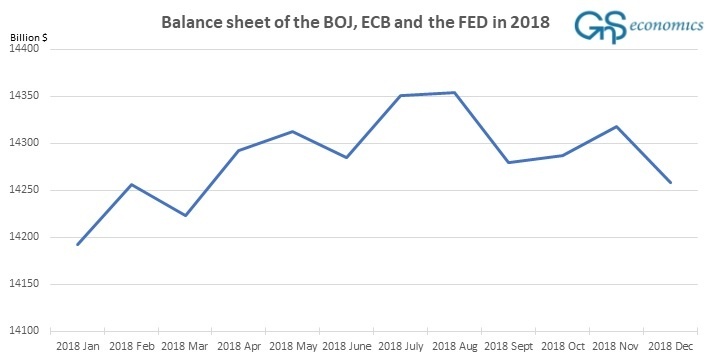 The global balance sheet of central banks turned in August 2018 (see Figure1). This marks the start of global QT and thus the end of the most reckless monetary policy experiment in history. 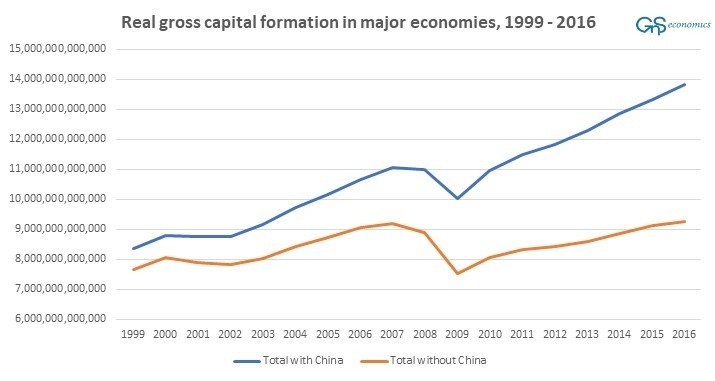 When this is combined with the slow-down in China, the engine of the world economy since 2008 (see Figure 2), we have finally entered the endgame of at the current business cycle. The desperate measures of central bankers and China enacted after the financial crisis have pushed the global debt and financial alchemy to never-seen heights. The global financial system has become rigged with leverage, moral hazard and regulatory failures to a point where a “purge” has become all-but-impossible to avoid. This is the end. Buy the report including a more detailed explanation of the scenarios, their probabilities, growth forecasts and a description of the eventual recovery of the world economy for €112 (+ VAT). Delivered to your email. Buy the report (Q-review 2/2018) describing how to prepare for the coming economic collapse for €112 (+ VAT).